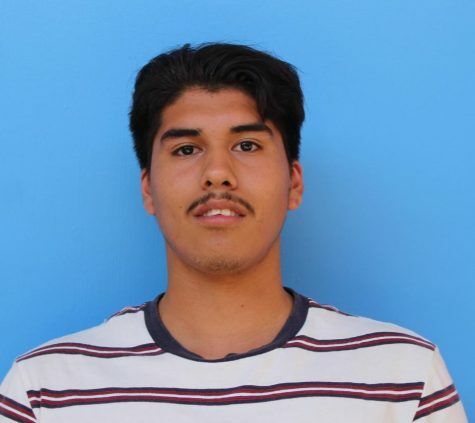 Ivan Delgado is a senior at Birmingham Community Charter High School and he grew up in North Hills in a Mexican-cultured household. Ivan has had a really fun and stressful time in high school. He is focused on the future while forgetting about the past. He is planning to go to CSUN as a business major just like his older brother. His favorite subject in school is history because he loves to learn from the past and what mistakes to avoid. He simply wants life to get better and better, and he knows it's hard but his life saying is "slowly but surely." His hobbies consist of playing video games, going to the gym, listening to rock and rap. Ivan's favorite sport is soccer which he has been playing since he was five years old. Ivan played for the BCCHS soccer team for his first 2 years but then left due to differences with the coach. He works in construction on the weekends and on vacation days. He works so that his parents don't have to worry about paying for his things. He has traveled to Mexico because most of his family lives there. The main reason he visits Mexico is to have long conversations with his grandpa about his past and about his mom. Ivan has an obsession with food--he loves ALL type of foods. His favorite type of foods are: Chinese, Salvadoran, Mexican, Thai, Hawaiian, and Mongolian food. Ivan loves watching comedy, horror, and adventure movies. His favorite rappers are Kendrick Lamar, Eminem, and Flatbush Zombies. He listens to them because he understands the music and can relate to it as well. He also listens to rock because his dad influenced him with that type of music. Ivan is focusing on school and is trying to get into college so that he can follow into his brother's footsteps. He also wants to go so that he can have a successful life and prove everyone wrong that doubted him. He already lived the poor life and now he wants to live the rich life and he can only do that is by going to college and being successful. He is in the journalism club and he hopes he will become more involved with club activities.